Click to Watch the Video Introduction! 2017 Update Edition: Dozens of new fallacies, over 100 cognitive biases, practice lessons, questions and answers, and more! This book is a crash course, meant to catapult you into a world where you start to see things how they really are, not how you think they are. The focus of this book is on logical fallacies, which loosely defined, are simply errors in reasoning. With the reading of each page, you can make significant improvements in the way you reason and make decisions. Expose an irrational belief, keep a person rational for a day. Expose irrational thinking, keep a person rational for a lifetime. The academic edition was released on November 22, 2013. 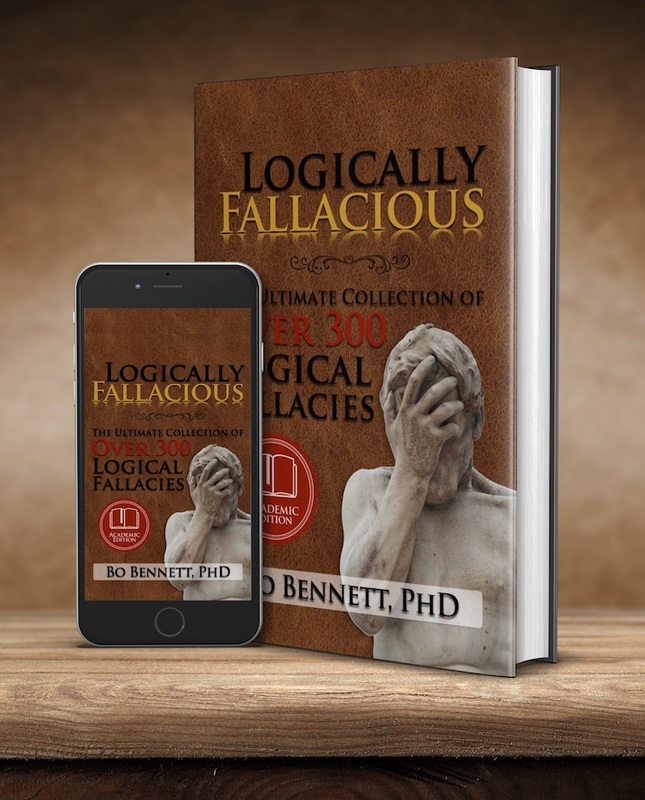 As with the first edition, it contains over 300 logical fallacies with over 500 detailed examples. The academic edition was edited using APA format and the examples were checked to be more suitable for academic environments that comprise people of all and no religious beliefs. Buy an autographed copy of Logically Fallacious here, or shop any one of the many major online bookstores. Learn by interacting with the educational and entertaining online course, Mastering Logical Fallacies. Earn a certificate! This is the place to ask the community of experts and other fallacyophites (I made up that word) if someone has a committed a fallacy or not. Browse over 300 fallacies or use the search feature to find a fallacy that you are specifically looking for.